Austria? Not so much. 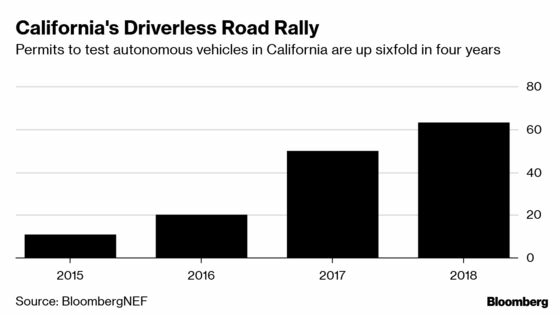 But the Alpine state is at the forefront of some cutting-edge research that stands to reshape the future of transportation, in particular driverless-car technology. And the epicenter of this push is Linz, that medieval city on the banks of the Danube river halfway between Salzburg and Vienna. 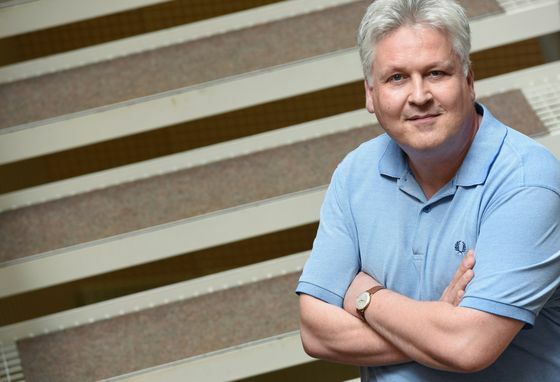 It’s here that researchers from Alphabet Inc. to OpenAI, the artificial-intelligence group co-founded by Elon Musk, come calling for advice from Sepp Hochreiter, the head of the Institute for Machine Learning at Johannes Kepler University. 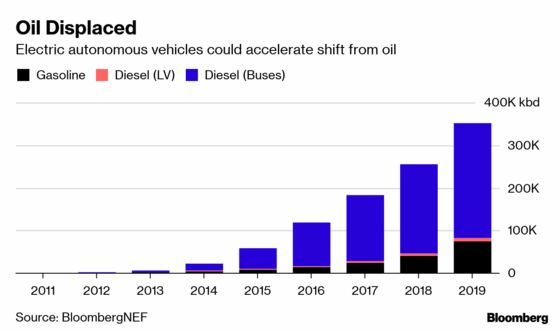 With more than 90 percent of all Earth’s machine-readable information generated in recent years, Hochreiter calls data “the new oil” that drives the technology behind autonomous vehicles. Musk’s company leads the field with an advantage the brash U.S. executive said in February “is very difficult to overcome.” More than a quarter million Tesla drivers are already behind the wheel, vacuuming up quadrillions of bytes of roadway data and transmitting it back daily to Silicon Valley. Driverless vehicles are set to first replace transportation that runs over fixed networks in predictable environments, think airport shuttles or forklifts in logistic hubs. Eventually they could slowly creep into cities to help handle bus routes and manage congestion. 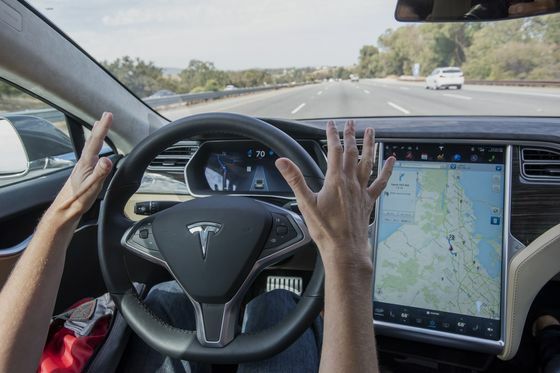 Fully automated passenger cars that can drive everywhere are likely at least a decade away. 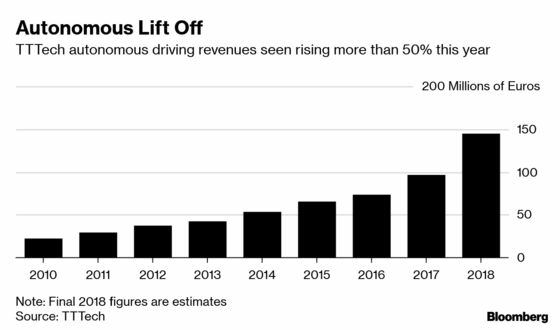 Besides Tesla, Alphabet Inc.’s self-driving car unit, Waymo, is at the forefront of the push since its inception as Google’s self-driving car project in 2009. Today, Waymo is widely regarded the leader in autonomous vehicles. 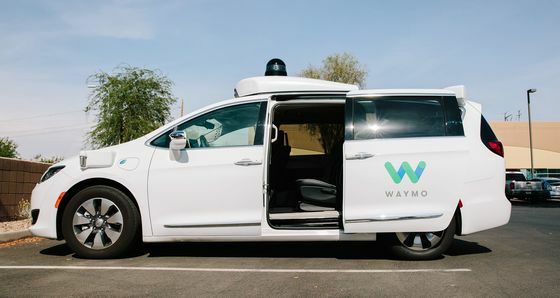 It launched the first commercial self-driving car service late last year in the suburbs of Phoenix and now says it has “several hundred” riders enrolled. Those sweeping changes in the way people get around portend shifts in everything from fuel consumption to labor markets -- one reason that the export-oriented carmakers of central Europe have been slow to embrace the technology. While Austria has no indigenous car brand, about 370,000 jobs, or every ninth worker, relies on car OEMs including Magna International Inc. and Polytec Holding AG. TTTech is unique because it’s making a “neutral” operating system, said Kopetz, who’s company is weighing an initial public offering after attracting investments from Audi AG, Samsung Electronics Co. and GE Ventures. Its software is engineered to handle the mishmash of road, weather and traffic sensors designed by original-equipment manufacturers, standardizing the data flows that instruct driverless cars to accelerate, brake, stop or turn -- orders that have to be combined and prioritized within milliseconds on microprocessors to avoid accidents. Researchers like Hochreiter view cars as mini R&D center that collect data needed to train autonomous-driving algorithms. And getting a critical mass of autonomous vehicles safely onto roadways is one of the “grand transformations” needed to cut greenhouse gas emissions and stave off catastrophic climate change, according to the International Institute for Applied Systems Analysis outside of Vienna. Hochreiter, the Linz academic, certainly sees a home advantage. Armed with 25 million euros of funding from HERE, he’s making pitches replete with images of serene Alpine lakes to recruit two dozen new world class AI engineers. They’ll take the petabytes of driving information HERE generates every month and combine it with other data sets -- ranging from climate and pollution to social media and satellite feeds -- that will allow them to construct new simulations of startling complexity, according to the scientist, who said Europe’s stricter regulations force him to take a different approach to teaching autonomous vehicles how to drive. “Silicon Valley can be much more aggressive,” Hochreiter said. “They put cars on the road even when the system is not completely ready. Here the regulations are much stricter."